The importance of emergency pet funds. Re: The importance of emergency pet funds. I keep telling my cat to keep a little cash stashed away for a rainy day, but she insists on staying out all night and blowing it on cat-nip and toy mouses. What can I do? In discussions with my UK colleagues there seems to be a common perception that the steep rise in veterinary prices there seemed to occur at the same time as pet health insurance became the norm. Whether having insurance changed pet owner attitudes towards treatment - and thus pricing - is pure speculation, but nonetheless a good number of my colleagues have remarked on this. So I am wondering - how does this perception that insurance and higher prices might correlate square with your experiences as a UK pet owner? I bring this up because the article referenced a dog experiencing seizures costing 30K GBP. Hooligan's epilepsy has been a factor since 2009, meaning I'd pretty much qualify for a veterinary care customer loyalty card if there were such a thing. But even with the recent incident in my previous posts, her bells-and-whistles veterinary treatment over the years hasn't come anywhere close that. "Despite the high costs of treatment, the ABI said an estimated 67% of dogs and 84% of cats were still uninsured." I wouldn't say that pet insurance is the norm. Very much. The vets clearly wanted to be able to use all the latest kit, test for everything under the sun, vaccinate against everything whether at risk or not, and it seemed like the increase in rates of insurance really helped top drive this. There would be flyers for insurance in waiting rooms too, which seemed to cynical old me like an obvious attempt to help fuel the trend. This was back in the 1990s, around the Milton Keynes area, FWIW. Good. I hope, then, that vets are no longer trying to push the unnecessary, expensive tests and treatments that they seemed to be don't back then. Hah! Fat chance of that. Was speaking to fellow doggers. One, rer lab had recently had an operation to remove what I understood as 3 'corn on the cobs' from his stomach or colon. Cost just over CHF 2,000 + some follow ups. Another lady has a young German Sheppard < 1 year old, needs new hips to deal with some genetic defect. (Why she bought a dog like that I don't know (or know if it could have been avoided)). Did not get the estimate, but insurance would not cover it anyway (genetic). A search using the words pet insurance turned up many threads. I did not know which one to post on so I chose this. We never had health insurance for our pets. In September, despite all medication intervention, we lost our dog to stomach torsion. Given her age (almost 16) the operation was always going to be a risk but we opted to try to save her. The costs were in the several thousands and I regretted not having insurance. We recently did quite a bit of research comparing what is offered for pets by the various health insurance providers. There are many more providers now than there were when we first looked into this in 2006. We settled on Generali. The contract is a minimum one year term. 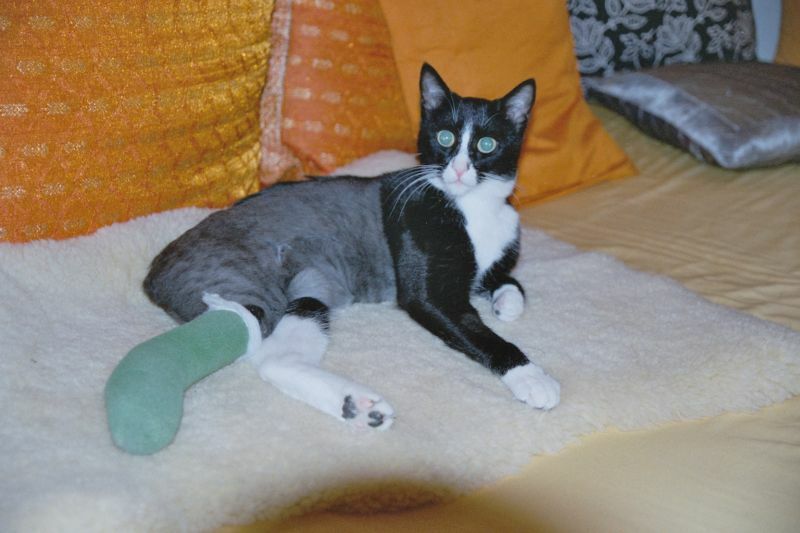 One issue for us was whether we can go to a vet in Germany and that was not a problem for Generali. I hope, then, that vets are no longer trying to push the unnecessary, expensive tests and treatments that they seemed to be don't back then. Our vets in France are brilliant, very experienced and really very very reasonable and not pushy at all. Not having insurance has saved us tons of money- despite having Gatsby, Slinky and Pudding put to sleep at home- Slinky diabetic and Minou having to be amputated.